As artists have grown more desirous of more dynamic means of expression, portraiture is no longer confined to the canvas. 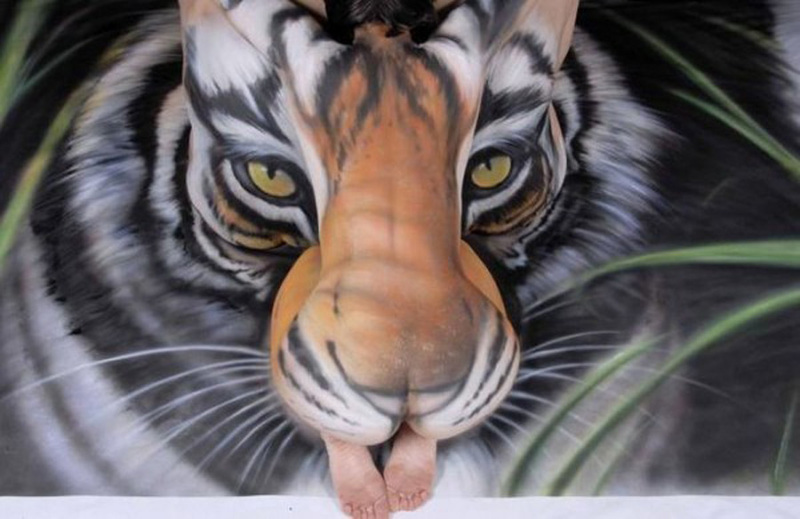 Welcome to the world of body art. 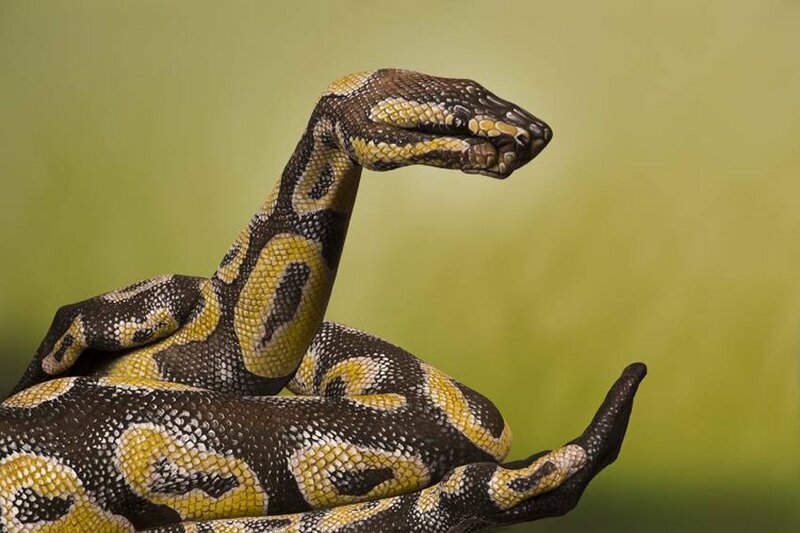 Look closely; these images are not what they seem! Turning the human body into a dynamic canvas, the art of body painting has grown rapidly over the past 20 years, gaining popularity and acceptance along the way. Contrary to their title, body painters don’t use actual paint in their work, but high grade makeup. Like any other medium, themes run the gambit. Some artists turn their subjects into chameleons, while others transform them into free standing sculptures. Competitions and festivals take place worldwide that cater to body painters of all levels of ability. The World Body Painting Festival is held annually in Pörtschach, Austria and features some of the most talented body artists from across the globe. 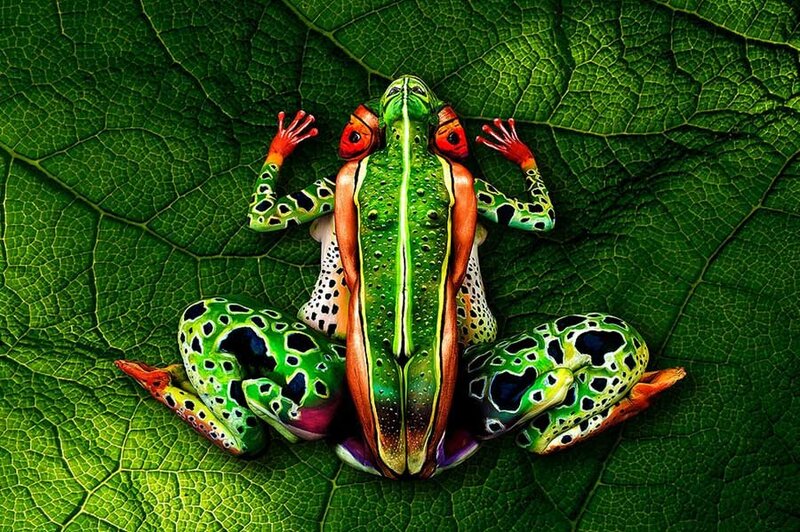 Tree Frog by Johannes Stoetter consists of five made-up bodies. Stoetter was crowned the 2012 World Body Painting champion, and is internationally known for his artistic skills with skin. Even though body painters have switched their artistic medium from stiff canvas to more elastic skin, that does little to change the artist’s need for a stable, sturdy surface. With that in mind, artist Trina Merry aptly selects athletic models for her human sculpture/painting works. It’s not just for aesthetics; all models must be able to hold an often awkward and uncomfortable position for hours on end. 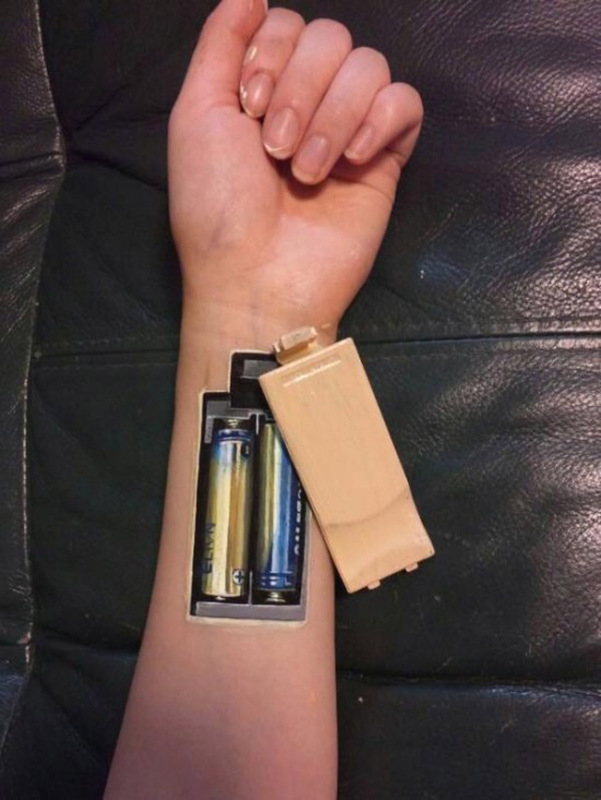 Japanese Artist Hikaru Cho (aka Chooo-San) has a keen eye for embedding a certain mechanistic realism into her body art. Blending the rigidity of zippers, screws and stitching with the flesh, Choo-San’s works are sometimes a bit unsettling. Guido Daniele of Milan, Italy created the body paint style for which he has become world famousin 1990. His paintings are incredibly lifelike and often awe inspiring. Guido works in many styles of body painting, but it is when he unites homo sapiens with their fellow animals that he rightly draws such acclaim. 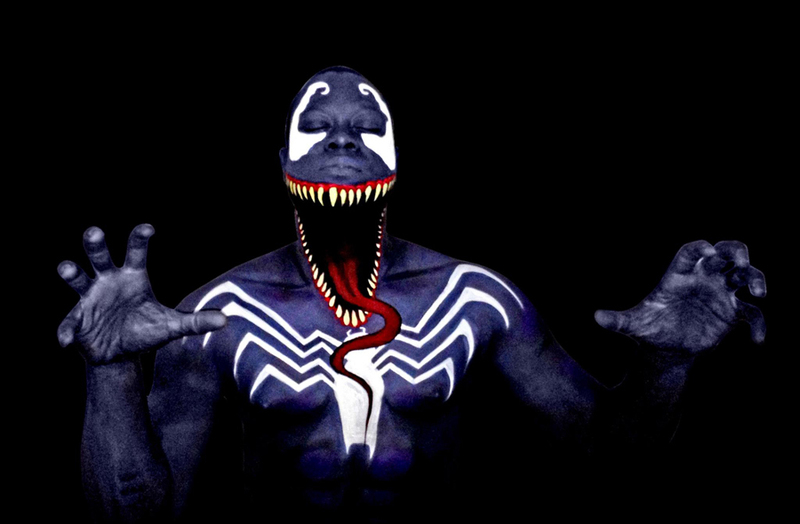 Swapping polyester fabric for dramatic shades of makeup, Sevil Beck of DoXa’s Face and Body Art in the U.K. brings Marvel Comics villain and Spiderman adversary Venom to life. Believe it or not, this was Beck’s first attempt at body art. German artist Gesine Marwedel works mainly in animal forms and landscapes, evoking a sense of peaceful coexistence between humankind and its environment. 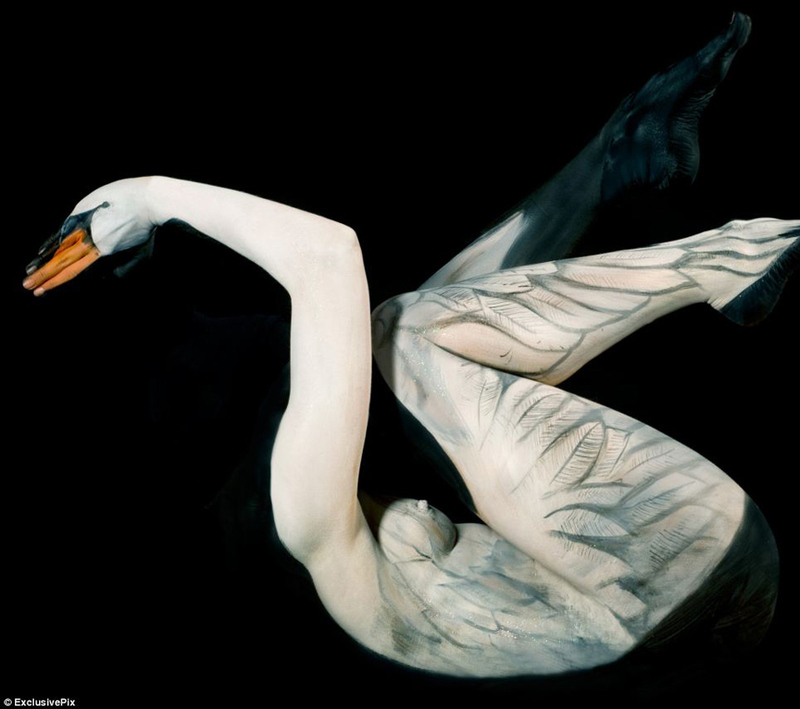 Her talent for animal imagery is seen here in her incredible ‘human swan’ piece. Craig Tracy’s creations vary greatly in subject and style, but there is no question as to why he is one of the hottest and most-admired body painting artists around today. From his ‘Tiger’ project, created to help save the endangered South China tiger, to the stunning tree frog painted on a woman’s back, Tracy’s works never fail to impress.